Teachers always “borrow” from other teachers, and here is a great resource to borrow. I love learning about new things, I think that the majority of people (especially teachers) do. 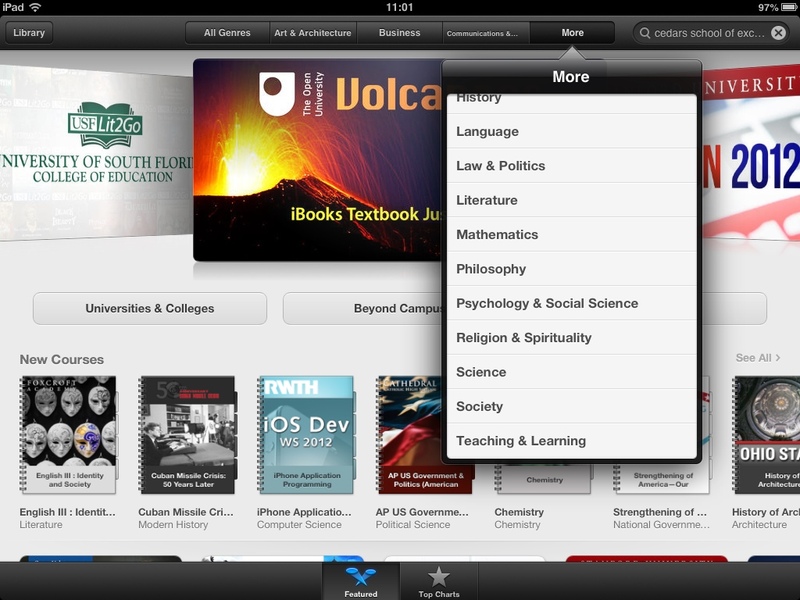 Although its been around for a while now, I realised that I hadn't posted about iTunesU. 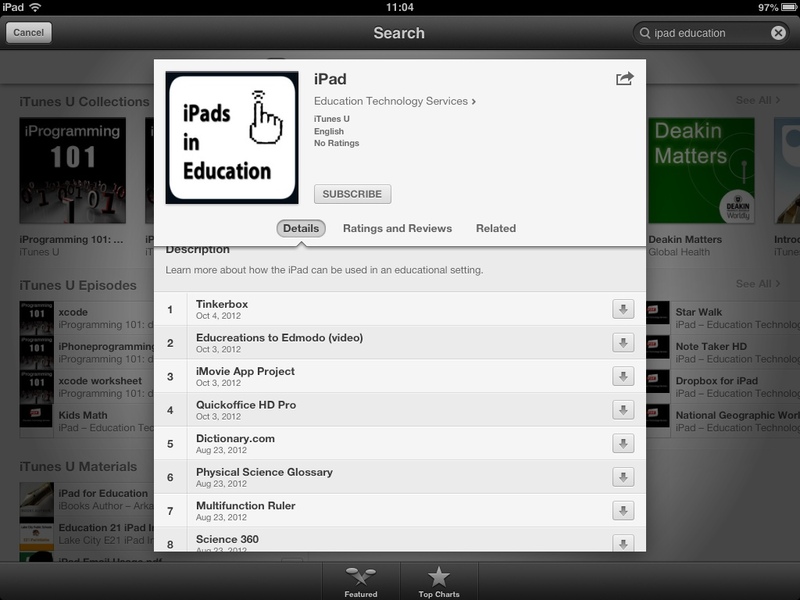 For those who haven't come across iTunesU before, it's the education section of the iTunes Store. It has a vast collection of free courses from a variety of university's, schools and private individuals which anyone can take. When you open the app you need to click on the catalog button to search for courses you wish to add. There are lots if different courses you can take, but I quite like going to the 'Teaching and Learning' section, to see what education related courses there are. You can also search for courses. 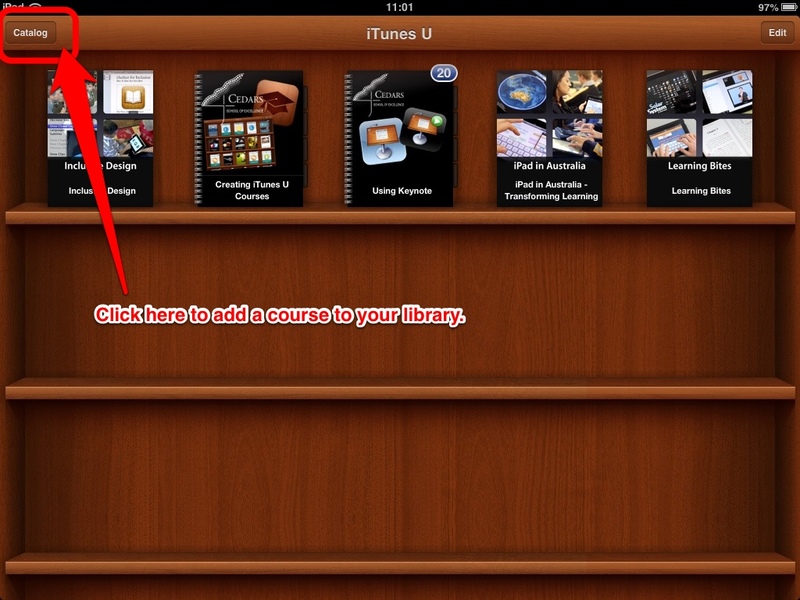 I tried searching for 'iPad Education' and found this course, which I have now added to my library.